Article: Das Leben ist ein Kampf! It was a shock for the Metal scene, when word got around a few months ago that Chuck Schuldiner, Mastermind of Death and Control Denied, is suffering from a brain tumor. It even makes a masterpiece such as the Control Denied debut album "The Fragile Art Of Existence", a matter of secundary importance. It is astonishing that after the album release, Chuck, despite of his condition, would not be deprived of the opportunity to explain. A decision one has to take one's hat off to. Even if at the moment the chances for Chuck's recovery seem rather good, it is obvious during the interview with the exeptional guitarist, something is not right. He is talking laboriously, yet Chuck is as friendly as ever. It is not easy to find an appropiate start when you know the music at the moment is of minor importance. Chuck is also aware of it and makes it easy on me, by starting, after talking a little about God, the world, and Control Denied, about his illness himself. The most important thing in such a situation must be patience. What was it like when you found out about your tumor, how does one cope with something like that? Did the music help you overcome the shock? Those who had to go through similar ordeals know how true these words are. 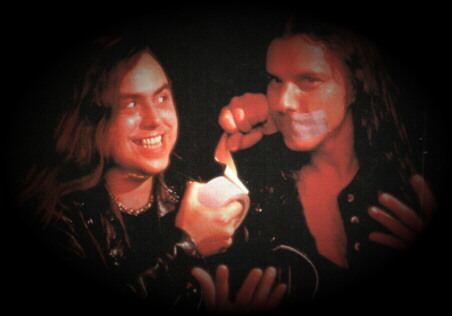 With "The Fragile Art Of Existence", Schuldiner succeeded to record another album gripping while heard in passing, or loudly on headphones as well. Correct. The mentioned vocals are from Tim Aymar, a frontman whom attracted positive attention already on two demo tapes of the U.S. hope "Psycho Scream". Psycho Scream is the current band of the, not unknown in the underground, guitar player Jim Dofka. Who, some years ago, striked with the solo album DOFKA, released on the French label Black Dragon. Wasn't it hard to decide which riffs you could use for Control Denied? Would you say that the writing process was a different one? A great buzz word. Your guitarplaying differs a lot compared to most other guitarists. You probably could play a country or hip-hop track on your guitar and it would still be clear right away that Chuck Schuldiner is the musician. How do you explain this? Besides you experimented a lot with new ideas on the Control Denied album. For example, the killer song "When the link becomes missing", contains an exellent acoustic break, which in this form was not to be expected of you. Evidence for this statement is the, again cliché free, album title. Which also, without the grimm suggestion to your current condition, works perfectly.